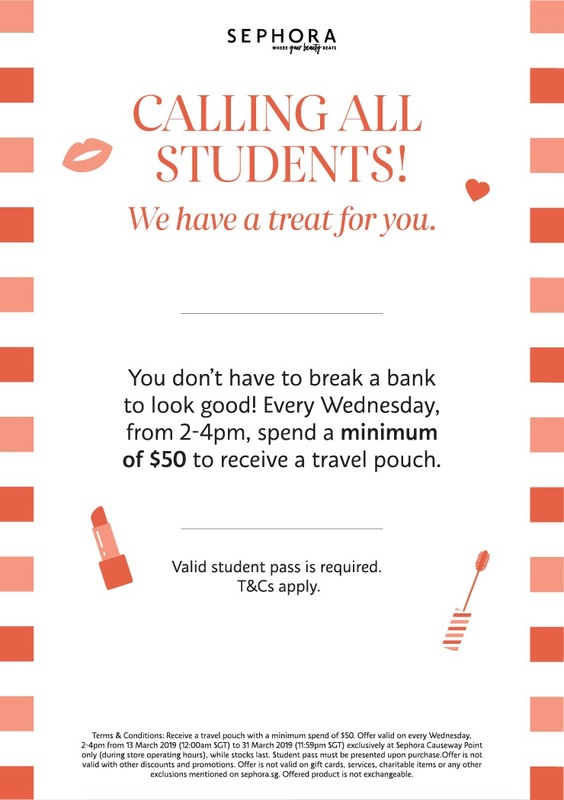 Receive a travel pouch with a minimum spend of $50, every Wednesday from 2pm to 4pm. A valid student pass is required and must be presented upon purchase. Valid only at Sephora Causeway Point every Wednesday from 2pm to 4pm till 31 Mar 2019, while stocks last. Offer is not valid with other discounts and promotions. Offer is not valid on gift cards, services, charitable items or any other exlusions menioned on sephora.sg. Offered product is not exchangeable. 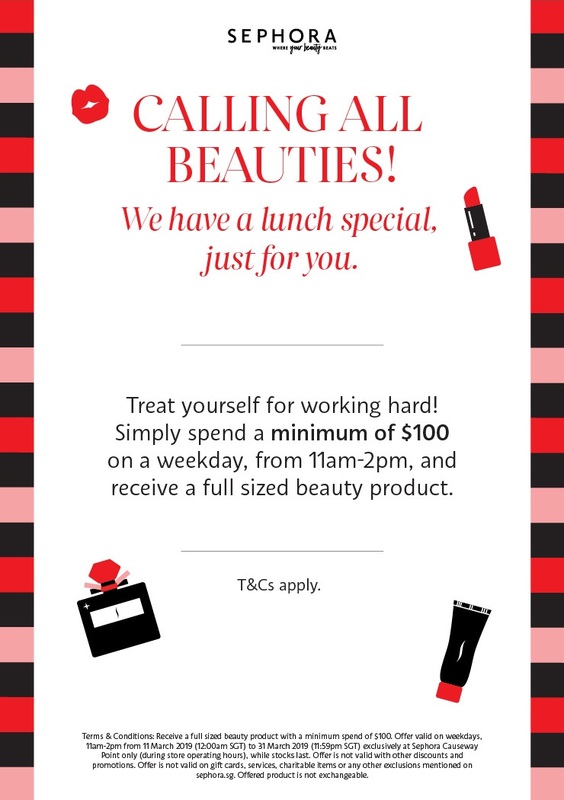 Receive a full sized beauty product with a minimum spend of $100 on weekdays from 11am to 2pm. Valid only at Sephora Causeway Point on weekdays from 11am to 2pm till 31 Mar 2019, while stocks last. Prices may be subject to prevailing GST. Check in store for more details.